LogRhythm is the pioneer in Threat Lifecycle Management™ (TLM) technology, empowering organisations on six continents to rapidly detect, respond to and neutralise damaging cyberthreats. LogRhythm’s TLM platform unifies leading-edge data lake technology, artificial intelligence, security analytics and security automation and orchestration in a single end-to-end solution. LogRhythm serves as the foundation for the AI-enabled security operations center, helping customers secure their cloud, physical and virtual infrastructures for both IT and OT environments. Among other accolades, LogRhythm is positioned as a Leader in Gartner’s SIEM Magic Quadrant. Darktrace is one of the world’s leading cyber threat defence companies. Its Enterprise Immune System technology detects and responds to previously unidentified threats, powered by machine learning and mathematics developed by specialists from the University of Cambridge. Bomgar’s best-in-class Privileged Access and Identity Management Solutions offer unparalleled protection against the most dangerous cyber threats, allowing organizations to secure access to critical systems and actively protect privileged credentials. Over a 25 year history, SonicWall has been the industry’s trusted security partner. From network security to access security to email security, SonicWall continuously evolves its product portfolio, enabling organizations to innovate, accelerate and grow. SonicWall. Your partner in cybersecurity. Accellion enables enterprise organizations to securely connect all their content to the people and systems that are part of their critical business processes, regardless of the applications that create that content or where it is stored, while maintaining the controls and visibility needed to demonstrate compliance. Restricted Intelligence is an entertainment-based employee awareness resource. Four seasons of six short, hilarious episodes. You can license these complete multi-media resource kits to engage employees in information security. 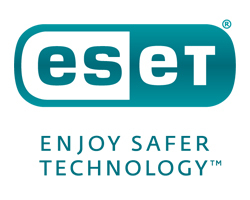 ESET is a global provider of security software dedicated to helping the world fight against evolving computer threats. ESET supports a global distribution network servicing over 110 million users worldwide. Synack provides a continuous hacker powered penetration testing solution that arms enterprise with hundreds of the world’s elite ethical hackers. This helps modern security teams quickly find serious vulnerabilities and provides an offensive security approach to the worlds most sophisticated attacks often missed by traditional penetration testing firms. EveryCloud are the leading cloud security consultants who provide insight and recommendations on Cloud Access Security, Identity & Access Management, and traditional Email & Web Security Services. 10Duke identity management and entitlement solutions: SSO to cloud apps for employees;SSO and authentication for online customer accounts; user entitlements to online applications; data for audit, reporting and GDPR compliance. BlueFort Security are an enterprise IT security specialist with a proven track record in delivering complex Enterprise Security, Application Delivery, Network Visibility and Authentication solutions.